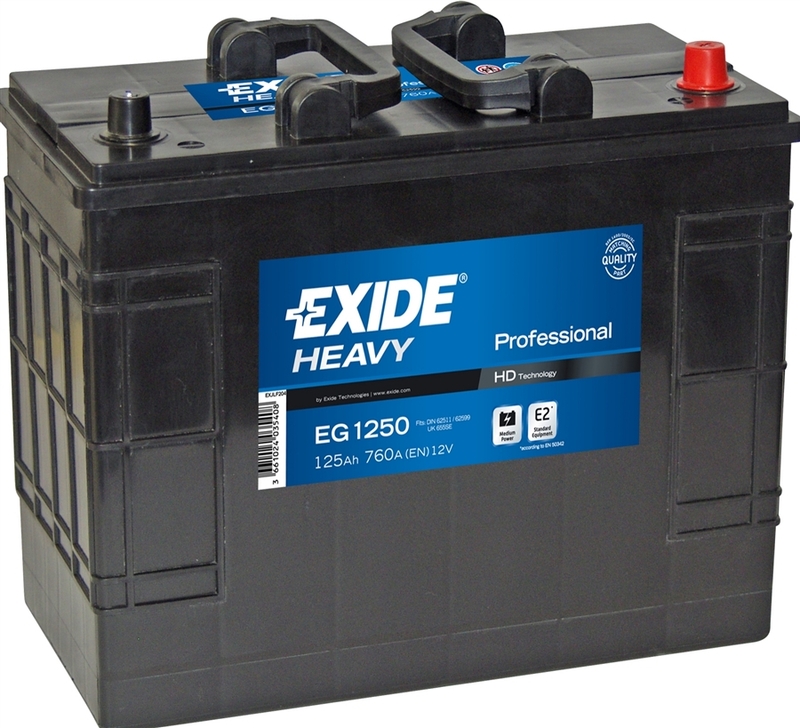 760CCA 125AH - Exide's Professional commercial batteries are designed for traditional, pre-2000 and older commercial vehicles. Built for regular mounting conditions, the range offers great value for classic parc vehicles under regular use. Made specifically for basic equipped, standard engine sized vehicles, regular driving distances and low maintenance. Use for classic chassis layout with batteries placed to the side of the cabin.